Breast augmentation surgery uses implants to help women enhance the fullness and shape of their breasts. As one of the most common cosmetic surgeries today, breast augmentation can correct breast asymmetry, positioning issues, size concerns, and shape discrepancies. Some women desire breast augmentation surgery to boost self-confidence, while others see it as a solution to recapture femininity. Dr. Batra of Coastal Plastic Surgeons understands the complex motivations and needs associated with breast augmentation and how the procedure can impact each patient differently. Every breast augmentation that he performs is as unique as the client and incorporates customized techniques to achieve natural proportions and beautiful results. Women with naturally small breasts can receive breast implants to boost their breast size. Implants can produce natural-looking results that enhance breast size in a flattering way. Many women experience undesirable changes to their breasts over time, such as a loss of volume and skin firmness. Breast augmentation can correct these changes to restore a more youthful body shape. Some women have natural breast asymmetry or breasts that are pendulous, flat, or otherwise lacking in shape. Breast implants can be used to improve symmetry and restore a naturally round breast shape. Your implants can either be saline-filled or silicone gel-filled. Neither saline nor silicone implants are inherently better than the other, but one option will likely be better for your individual needs. The placement of your implants will depend on the natural breast shape, the degree of ptosis (sagging), and the desired positioning of your breasts. Breast augmentation can be performed using one of the following three incisions. The best incision option for you is predominantly based on the type and size of implants you choose. The customized nature of breast augmentation requires a recovery plan that is unique to each patient. Your surgeon will create a custom recovery plan for you. Patients are often outfitted for a delicate and supportive compression bra to minimize swelling and assist with movement during recovery. Minimal swelling and discomfort should subside after a couple of weeks. Any activity should be reduced for a time, and patients must wait until they are given approval before returning to work or resuming exercise. Should you experience any discomfort during recovery, pain medication will be provided. These symptoms will dissipate after a couple of weeks. Scars may form along the incision sites, as is common with every major surgery. The degree of scarring can vary greatly depending on individual healing capabilities. Patients can reduce scarring by using silicone scar sheets and minimizing sun exposure, tension, and tugging on the incision sites. Any scarring typically fades over time. The cost of breast augmentation includes many factors, such as implant type, surgical fees, physician’s fees, anesthesia fees, and the like. You will be provided with a detailed price quote during your personal consultation. How do I choose my implant type, placement, and incision technique? 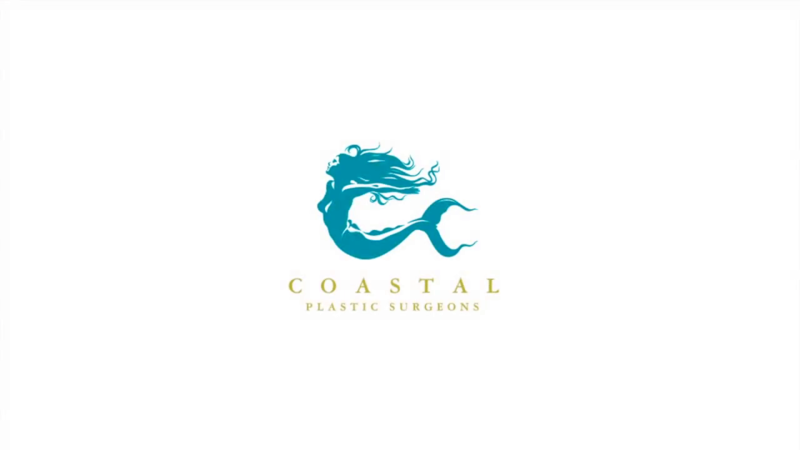 At Coastal Plastic Surgeons, we offer the best treatment options to meet your lifestyle and natural attributes. During your consultation, Dr. Batra will take detailed measurements and present you with customized options based on your body frame and desired cosmetic results. You will have the opportunity to “try on” implants and get a better idea of the expected outcome. You and Dr. Batra will collaborate on the look, implant type, size, shape, texture, positioning, placement, and incision for your procedure. By working together, we can help you make educated decisions that will ultimately produce the greatest satisfaction with your results through the years to come. What other factors affect the results besides implant type, placement, and incision technique? Many factors affect the results of your breast augmentation. Besides your personal preferences, your body frame and your natural breast tissue have a significant impact on the results. Other factors such as implant profile, texture, and shape as well as how well you follow post-surgical instructions will also play a factor in your post-surgical appearance. Dr. Batra will go over these points in great detail with you and give you as much information as possible so that you can make the best decisions for you. Patients are placed under anesthesia for their breast augmentation surgery. Dr. Batra will make one of the three previously determined incisions and insert your chosen implants either beneath the pectoral muscles or under the surface breast tissue. Once the implants have been situated, Dr. Batra will stitch the inner and outer breast tissue with dissolvable sutures. Any non-dissolvable stitches that must be used will be removed within one week after surgery. Your results will show over time as your body heals, and the final results will take shape about three months after surgery. Your breasts will appear fuller, firmer, and rounder, giving you a more youthful body shape and newfound confidence. Due to the additional weight of the implants and age-related changes in the skin fibers and ligaments in the breasts, additional sagging may occur over time. Should you have considerable sagging, we recommend receiving an accompanying breast lift with your augmentation. Every patient should be completely confident in her breast augmentation surgeon based on the surgeon’s experience and proven results. Dr. Batra performs more than 350 breast augmentations each year and provides artful bust lines and signature feminine contouring for all his patients. As a leader in breast augmentation and revisionary surgery, Dr. Batra of Coastal Plastic Surgeons treats each case with compassion, care, and dedication. Dr. Batra would be pleased to perform your procedure and to help you achieve your long-awaited ideal breasts.